There are many different ways to measure length. Practice measuring in centimeters using the mini rulers provided. 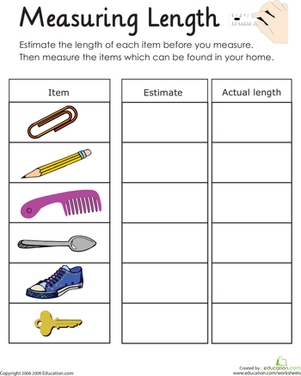 Note that these rulers are not to scale, but they will help kids practice making measurements with a ruler.